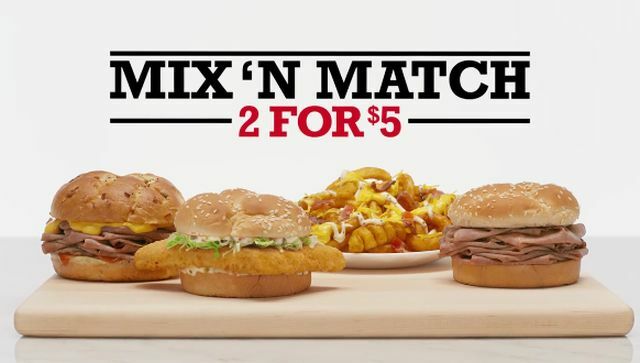 For a limited time, participating Arby's restaurants are offering a two for $5 Mix 'N Match deal. The price point and concept match a similar long-term promotion at Burger King and is something Arby's has occasionally offered in the past. Update 2/1/2019: They're offering the same line-up at the same price for 2019.